What are White Glove Logistics Services? Many companies talk about performing white glove pickups and deliveries. But what do white glove logistics services really entail? 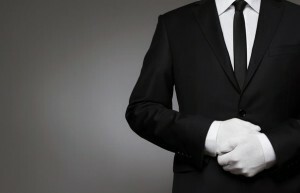 These services involve much more than simply wearing white gloves when handling your shipment! This term is commonly used to describe the level of service you are receiving, whether you require the shipping of high value medical equipment, asset recovery, data relocation, or trade show material. With white glove services, also called “last mile” services, you can rest assured that your products will receive the utmost care and protection at every step along the way. With white glove services, also called “last mile” services, you can rest assured that your products will receive the utmost care and protection at every step along the way. Why Opt for White Glove Services? AFP Global Logistics understands your needs and concerns when it comes to the safe and on-time pickup and delivery of your shipment. It doesn’t matter if you need to move one item or a whole truckload – your shipment will be treated with the highest level of care and respect possible. Often, delicate and valuable items like medical equipment will require transportation on specialized trucks. Whether you require a climate-controlled trailer, liftgates, or blanket-wrapping, our specially trained operators are experienced in handling all types of high-value items and are sure to be able to meet your unique needs. Professional packaging is also available for your items, should you require it. For a customized logistics handling experience, AFP Global Logistics is the best and only choice! We provide a full range of shipping services, and our 20-plus years in the business have given us the tools we need to tailor our logistic solutions to each and every individual customer. For more information or to start designing your own logistic solutions today, get in touch with AFP at 410.590.1234 (toll-free 800.274.1237), email us at info@afplus.com, or fill out our quick and easy contact form here! This entry was posted on Thursday, August 27th, 2015	at 10:07 am	and is filed under Shipping Methods	. You can follow any responses to this entry through the RSS 2.0	feed. Both comments and pings are currently closed.